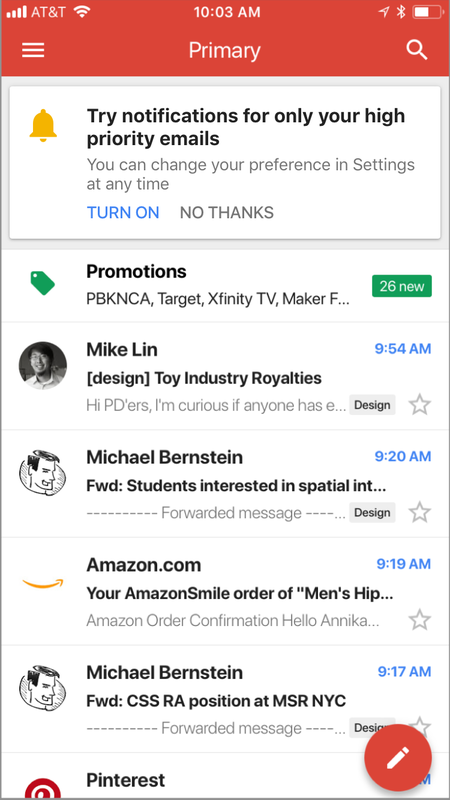 These notifications leverage Gmail’s machine learning and artificial intelligence capabilities to identify messages you may want to read first. To enable the feature, select “High priority only” from the Notifications drop-down in the settings menu of your Gmail iOS app. Available on iOS now and Android soon, we hope this feature makes your Gmail notifications relevant—not just noise. 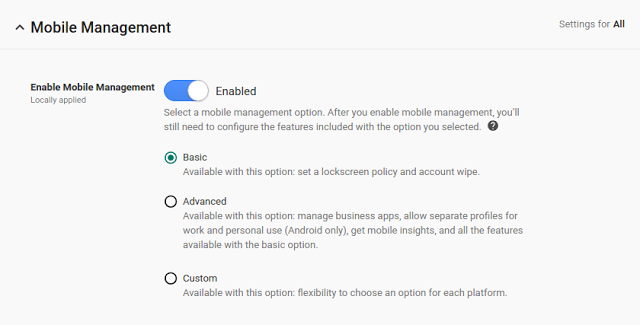 G Suite administrators who want their employees to use their own mobile devices at work face a challenge: all Enterprise Mobility Management (EMM) solutions available today require an agent or profile to mandate corporate mobile policies, but employees are uncomfortable setting up these agents and profiles on their personal devices. Oftentimes, they choose not to add their corporate accounts to their personal devices at all. To meet the needs of both admins and employees, today we’re introducing an agentless way to manage iOS devices: Basic Mobile Management. Basic Mobile Management allows admins to mandate basic security on iOS devices without requiring users to install an MDM profile. It also relieves admins of the need to set up an Apple Push Certificate and the hassles of renewing that certificate regularly. Basic Mobile Management makes it easier for employees to use their personal devices at work as well, by allowing them to set up their corporate accounts just like they would their personal accounts. Organizations that require additional restrictions, mobile audit, or application management on iOS devices should continue using the Advanced Mobile Management option. For more details on Basic Mobile Management and how to get started, check out the Help Center. Please note that agentless management is only available for iOS devices at this time. Users will still need to install the Device Policy app on their Android devices, even if their admin has chosen Basic Mobile Management.